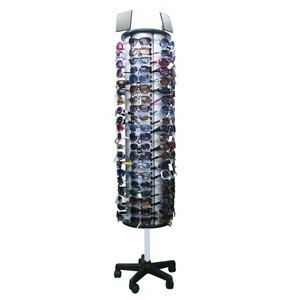 One of the most popular displays we have, this model holds an impressive 120 pairs of sunglasses! • One of our best selling floor model rotating display racks. • Height 72 in. x Width 19 in.